There's so much information on my writing site (Fiction University), and one of the challenges of crafting books to support it was figuring out how to organize everything. I wanted this series to be more than just a collection of articles, and to accomplish the same goals as the site--to offer writers tips they can apply right to their works in progress and see results. Planning Your Novel: Ideas and Structure contains ten workshops and over 100 exercises that lead you through the novel-planning process. Each exercise builds off the last and takes you step-by-step through finding and developing ideas, brainstorming stories, and crafting a solid plan for your novel. The final three workshops are designed to help you craft your one-sentence summary (your eventual pitch), your summary blurb (your eventual query letter), and a working synopsis (your eventual synopsis). So as the workshops help you plan your novel, they also help pave the way for the more annoying business and submitting side of things to make that whole process easier down the road. Stuck on a First Draft? Several of my beta readers were stuck on their own novels and discovered that doing the exercise in my book helped them fix their problems. The brainstorming questions helped them pinpoint the weak areas and find what was holding them back. Pantser? 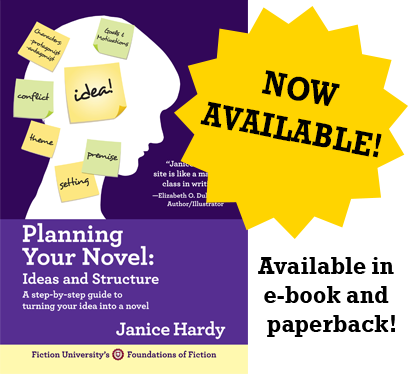 No Problem: If planning your novel beforehand just isn't for you, Planning Your Novel: Ideas and Structure is a great revision plan to help you structure your draft, spot any weak areas, and polish your overall story. Planning Your Novel: Ideas and Structure is an easy-to-follow guide to planning your novel, as well as a handy tool for revising a first draft, or fixing a novel that isn’t quite working. Also available on iBooks and most online retailers.